We all know it’s essential to create great (and ubiquitous) content. But the time pressures are real. Most of us—even if we have a team backing us—can’t spend dozens of hours each week writing blog posts, engaging in witty real-time banter on Twitter, sharing insightful articles on LinkedIn, and building robust online communities. He might write a blog post about a given topic, and also create a video and an animated gif about that same topic—not to mention tweets promoting all of the above, Facebook posts, an audio file, infographics, SlideShares, a short video on Vine to complement a longer one on YouTube or Vimeo, and more. When Fidelman takes on a client, he doesn’t write about them directly. Instead, he interviews leaders who work in his client’s industry and uses the interview process as a form of networking. One of his strategies is to create elaborately researched posts that identify the top twenty-five leaders in a given field or industry (“The 25 Highest Rated CEOs That Are Hiring Now,” or “Meet the Top 20 Most Social CMOs of the Fortune 100,” or “The World’s Top 20 Social Brands”). Creating each list, he says, takes at least one hundred hours. That may seem like a mammoth undertaking, but he’s convinced of the value: it gives him the opportunity to build relationships with influential people who might be useful connections for him and his clients in the future. Plus, he’s developed a precise system to leverage his time. He starts with four hundred to five hundred names of possible contenders and narrows them down on a first pass by their Klout score, which measures their online influence. (He hires two freelancers from online sites such as oDesk or Elance, at a cost of $5 to $6 per hour, to check and recheck the scoring.) That’ll reduce the list to a more manageable one hundred, at which point he evaluates whether each potential influencer talks about the subject in question (such as crowdfunding) more than 50 percent of the time. If not, he eliminates them from contention. Once the list is solidified, Fidelman ensures the effort won’t go to waste. He uses a graphic designer in Eastern Europe, who charges only $10 an hour, to turn the influencer list into an infographic. “I try to make my content shareable as much as possible,” he says. “I might create a SlideShare about it. I think, how do I repurpose this information so it spreads far and wide?” He’ll even follow up by asking each influencer for one tip about succeeding in their field, which he’ll put into an e-book. He sets up a landing page for the e-book and requests the e-mail address of people who’d like to download it. “That gets leads for my client,” he says, “and most of the top twenty-five are helping me promote it because they’re in it.” He’s managed to leverage the most powerful people in an industry to generate leads for his client. The whole process is a carefully constructed win-win. Fidelman provides interesting research to the public (most readers are quite interested in who the top players are in a given industry, as evidenced by the hundreds of thousands of views his posts have generated). He gives public recognition to thoughtful professionals who are at the top of their field. And in the process, he educates himself about various industries and builds personal connections that may be valuable to his clients or prospective clients. How can the research process serve multiple professional goals for me and/or my company? How can I leverage my time investment and outsource aspects of content creation to my staff or outside VAs? What additional forms of content can I create, stemming from the original piece? 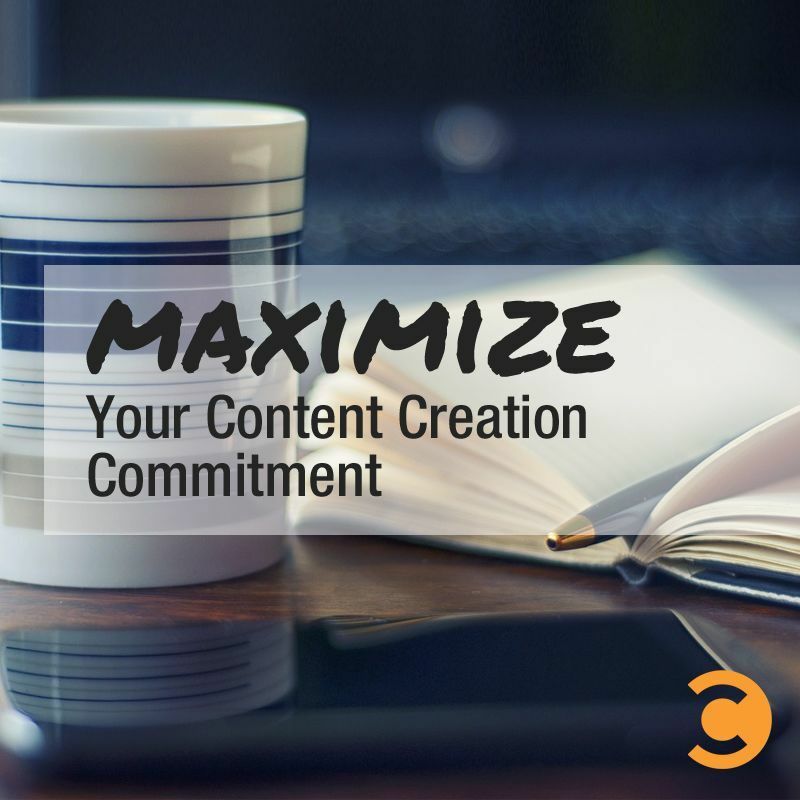 Creating great content takes time. But it’s far easier to leverage one article or podcast into multiple forms than to create something entirely new for each channel. Setting up the systems and structures now will enable you to spread your message much further over time.